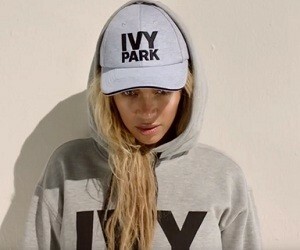 HP: “IVY PARK is merging fashion-led design with technical innovation. Creating a new kind of performance wear: modern essentials for both on and off the field”. I would wake up in the morning, and my dad would come knocking at my door, telling me it’s time to go running. I remember wanting to stop, but I would push myself to keep going. It taught me discipline. And I would think about my dreams. I would think about the sacrifices my parents made for me. I would think about my little sister and how I was her hero. I would look at the beauty around me, the sun shining through the trees. I would keep breathing. There are things I’m still afraid of. When I have to conquer those things, I still go back to that park. Before I hit the stage, I go back to that park. When it was time for me to give birth, I went back to that park. The park became a state of mind. The park became my strength. The park is what made me who I am.